Can Anyone Provide Suggestions for Day Hikes? Hello. New to the group and never visited Scotland. We will have about 4 or 5 days in Scotland early this September and are looking to stay somewhere that affords access to some really good day hikes (we will have a car). Another thought is to hike from inn to inn. Not looking to exceed more than ten miles or so per day. I know this is very open-ended, but thought it might serve as a starting point for more detailed planning. Any advice / suggestions are appreciated. Thank you! http://http//www.walkhighlands.co.uk/speyside-way.shtml The Speyside Way might fit the bill...slightly over 10 miles a day but not too bad. Hi @billb - sounds like you're planning a great trip! We've got hundreds of walks that you could choose from, all with great views of lochs, wildlife, castles and more. 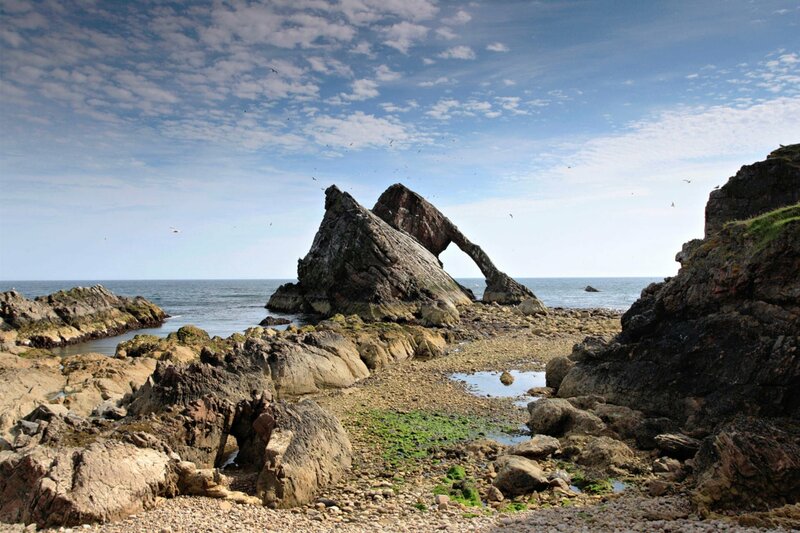 Why not take a look at this blog post for ideas on 12 stunning Scottish walks with awe-inspiring natural features, such as the Bow Fiddle Rock in Portknockie? 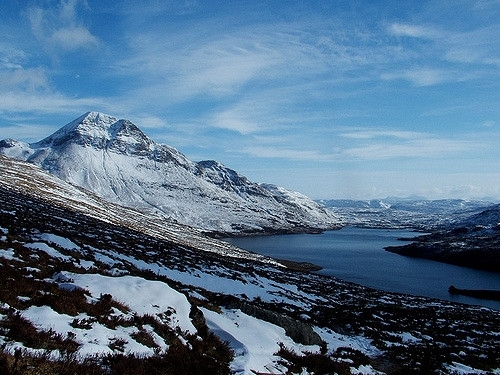 A trip to the glencoe region will put you within easy striking distance of some of the West Highland Way route, in particular the Bridge of Orchy to Glencoe, Glencoe to Kinlochleven via the Devil's Staircase and Kinlochleven to Fort William sections. The paths are good for walking and you can set a 5 mile one way target then turn and return. Lots of accomodation around the area to suit all budgets from cheap hobbit pods at Kinlochleven to luxury hotels with eye popping price tags. The Clachaig Inn and Glencoe Inn in Glencoe are both great as is the Bridge of Orchy Hotel. 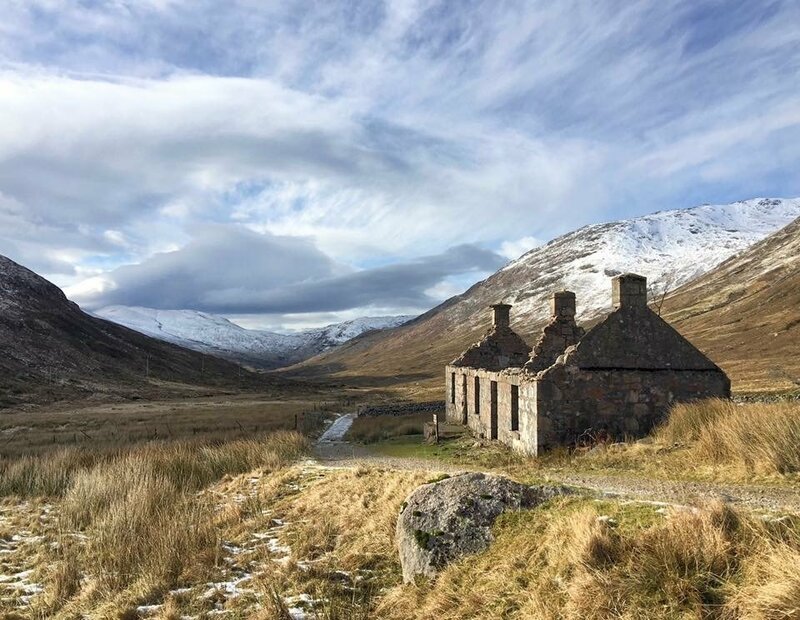 We stayed at Onich in February and hiked on part of the WHW route from Kinlochleven towards Fort William. It was stunning. Loved it. The year before we started at Kinlochleven and went in the other direction up the Devil's Staircase towards Glencoe. You can't beat an Onich sunrise either. They're stunning. Here's a photo from our hike below. It was a 10 mile round trip from Kinlochleven to this ruin and back. I wrote a blog post about that hike which you may enjoy. You're definitely spoiled for choice! I think one of the most spectacular low level walks I've done in Scotland has to the Elgol-Camusanary circuit. Parts of it wind their way round a sheer cliff face that'll give your vertigo something to think about. It's just over 10 miles in total and the view is easily one of the best you'll get in Scotland without heading higher up. 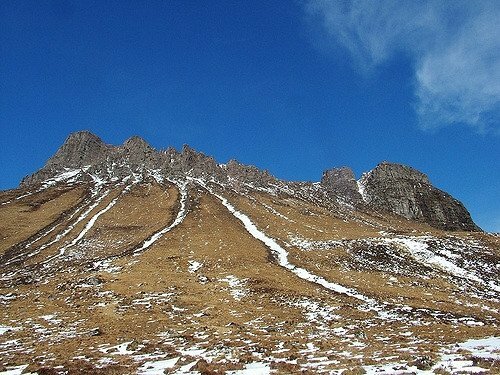 I did the reverse of the route described here and I think it would be the better option, otherwise you're constantly looking back at the view over the Cuillin. There's a circular route around Stac Pollaid in Assynt that doesn't require too much of a head for heights and if you pick a good day for it the views will blow you away (mind you the wind might do that too!). Was coming on to suggest north-west highlands as well. 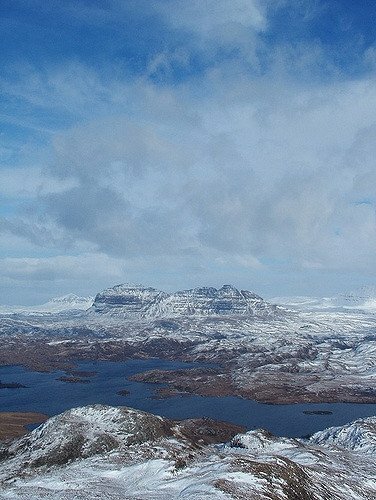 So many accessible short walks and Stac Pollaidh offers some of the finest views for the length of walk (around 2-4hrs).